Techy to start and a bit pumpy, then some steep pulling. @ Pince sans rire, my first 7c onsight after harsh sustain climbing at overhang and ceiling! 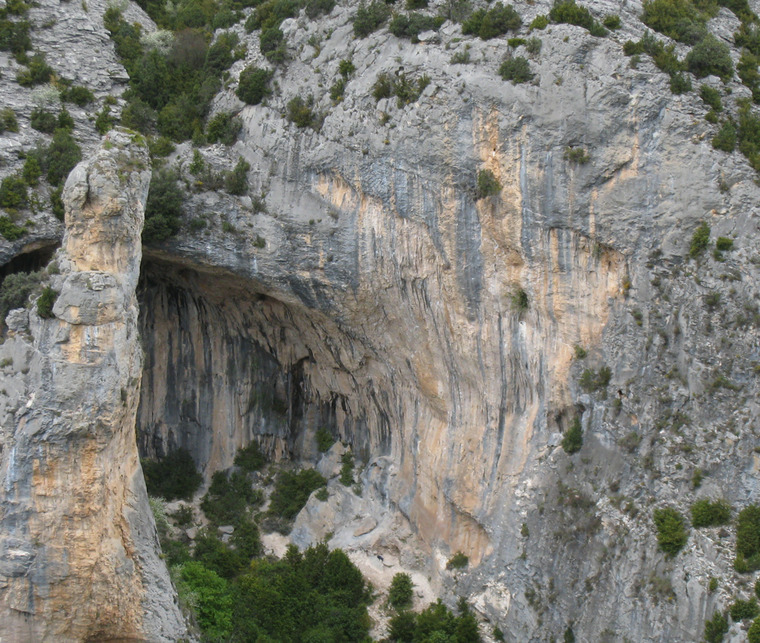 The route consists of all styles: tufa, face, overhangs and ceiling! A classic! One move away from the onsight, surprisingly hard crux past the steep part. Technical climbing on tufas first 15 m, really fun.